John Lasseter kicked off Disney’s massive D23 Expo with a look at what is coming next in the world of Disney and Pixar animation. The packed arena presentation was easily the highlight of Day 1 and offered fans a first look at the company’s upcoming slate of animated offerings. Pixar’s highly anticipated roster included next year’s The Good Dinosaur and 2015’s Inside Out. However, it wasn’t all forward thinking taking place on Friday. 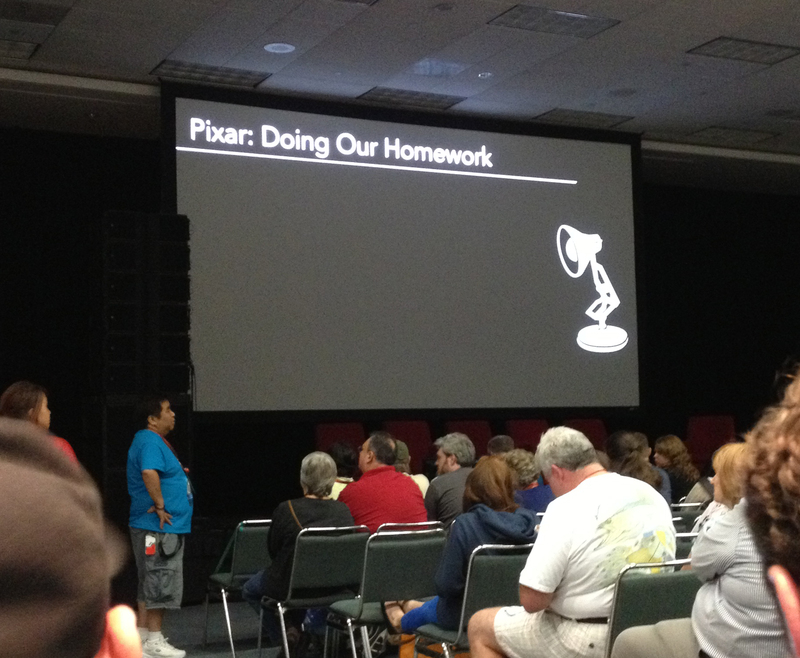 Late in the afternoon, a handful of Pixar creatives took some time to look back.